On the Illinois Compass 2g platform, students will find the advanced high engagement component. This includes live sessions and group assignments. On the Coursera platform, students complete the basic components of the course, such as watching videos and completing quizzes and peer reviews. REMINDER: Completion of the onboarding activities in both the Coursera and Compass platforms is essential to your success in the iMBA courses. Please complete all onboarding activities prior to the start of your iMBA courses. The iMBA team is here and ready to help you with any questions that you may have! Zoom is a cloud-based web conferencing tool. It unifies video conferencing, online meetings, and group messaging into a single platform. 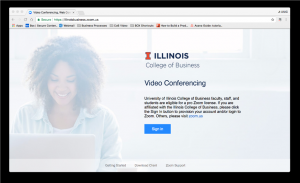 With Zoom, you will be able to video chat, talk, and text chat with your instructors and peers. How does Zoom work in the iMBA? The iMBA courses are highly interactive and engaging on a weekly basis. As a student, you will be participating in weekly live video sessions, office hours, and group work as part of your learning experience. Depending on how the live event is designed in each iMBA course, you will have the opportunity to interact with your instructors, teaching assistants, and classmates in different ways as part of a virtual classroom. Zoom is where you will participate in live instruction and engage with faculty/TAs by asking questions in real time. 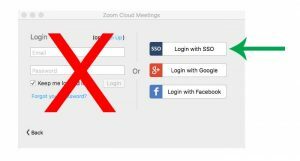 How can I set up a Zoom account? Please note: You may need to wait 2-3 days after claiming your NetID before you are able to successfully set up your Zoom account. 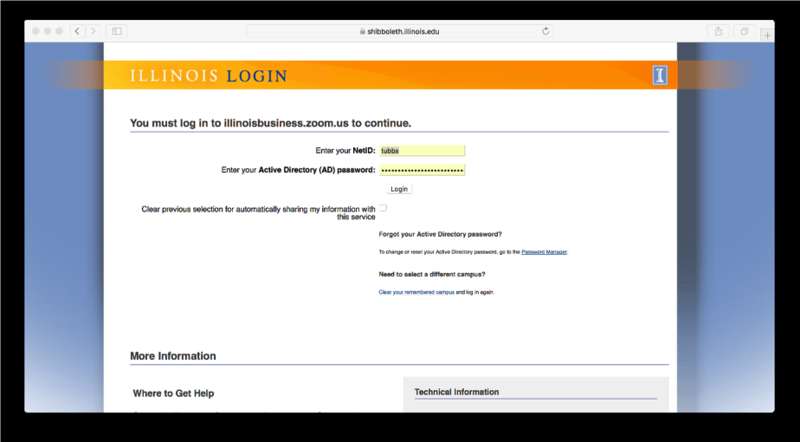 The authentication system will use the Illinois Single-Sign On (SSO) system – the same login process with your Illinois netID that you use for Compass2g, the library and other campus resources. 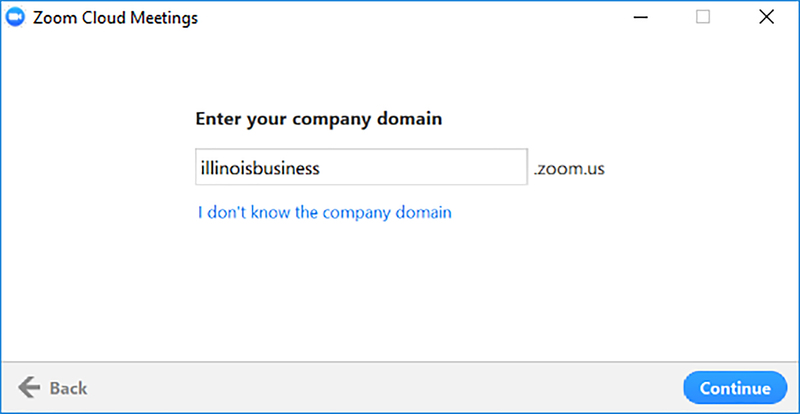 From this point forward you will need to use your Illinois login credentials to gain access to the Zoom Pro features. To make sure your existing ZOOM account is part of the College of Business’ license or to establish your account, please follow the steps below. Click the blue “Sign in” button. You will pass through to an Illinois SSO screen. 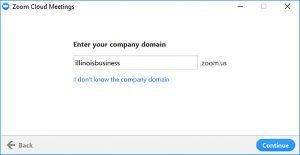 If you don’t go to the SSO screen shown below, it means that you are already authenticated as an Illinois student in your current browser, due to using another Illinois resource or service. If you don’t see this screen then proceed to the next step. 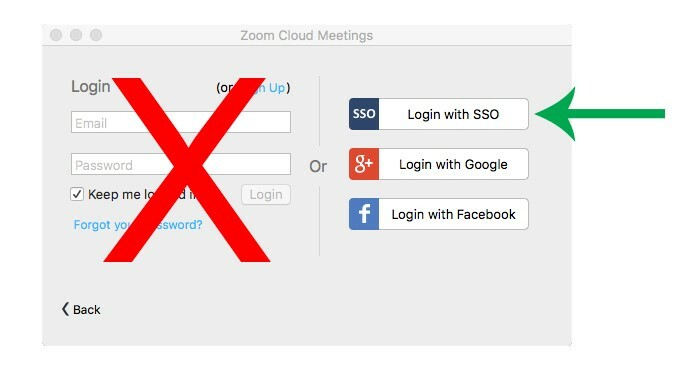 After completing the log in process, you will be directed to your Zoom account pages on the Zoom web site. Here you can set up various account features. For a full list of account features, please see the My Account Profile Page in the Zoom Help System for more information. Your “My Profile” page (link in left sidebar menu) will show your meeting ID number and URL to your personal meeting space. Future logins to Zoom via the client software you’ve downloaded in the past should use the SSO option found in the upper right hand corner. Even if you’ve logged in before from the left side email/password text boxes, use SSO now and in the when you come to this dialog box. 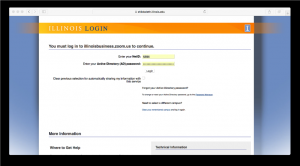 The next dialog box will prompt you to enter your @illinois.edu email to connect you to the Illinois SSO system. 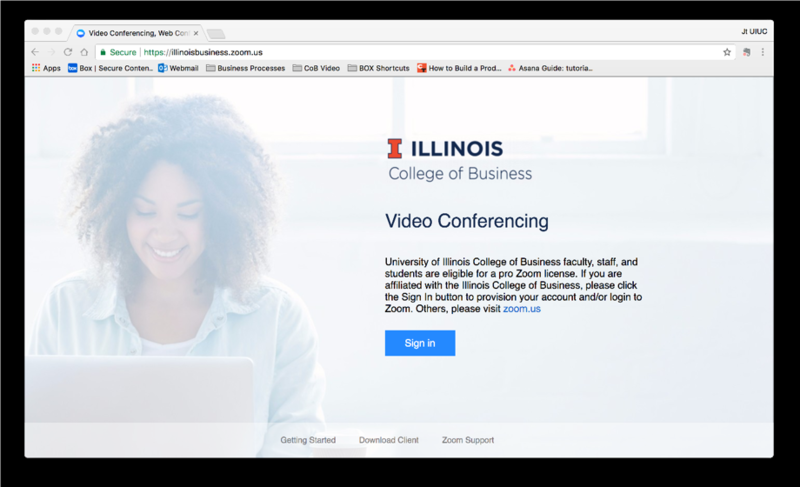 Logging in this way will ensure you are using Illinois Business Zoom account to enable the Pro Zoom features, and that you are recognized in the Live Sessions with your official @illinois.edu credentials and name. Zoom Help Center: The Help Center offers the most comprehensive resources on Zoom. You can type in issues and search for a solution. Zoom Video Tutorials: These video tutorials will teach you how to use different functionalities in Zoom. You can view the videos at your convenience. Zoom Technical Webinars: Zoom hosts technical webinars every month. Zoom Weekly Training Webinars: Free to register and join. This is a 90-minute user onboarding session with live Q&A. If you can’t attend, you can also view the latest recording. 24/7 Live Chat: To access live chat, click the Help pop-up button at the bottom of any Zoom page. Type in the question you have. After typing in your question, you will see a Live chat option. 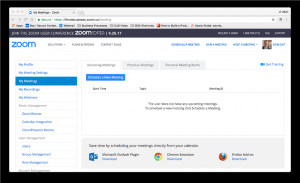 Zoom Ticket: You can also submit a ticket to Zoom directly for non-urgent matters.